Everyone knows someone who's sick or suffering. Yet when a friend or relative is under duress many of us feel uncertain about how to cope. Throughout her recent bout with breast cancer, Letty Cottin Pogrebin became fascinated by her friends' and family's diverse reactions to her and her illness: how awkwardly some of them behaved, how some misspoke or misinterpreted her needs, and how wonderful it was when people read her right. She began talking to her fellow patients and dozens of other veterans of serious illness, seeking to discover what sick people wished their friends knew about how best to comfort, help, and even simply talk to them. Now Pogrebin has distilled their collective stories and opinions into this wide-ranging compendium of pragmatic guidance and usable wisdom. Her advice is always infused with sensitivity, warmth, and humor. It is embedded in candid stories from her own and others' journeys and their sometimes imperfect interactions with well-meaning friends. 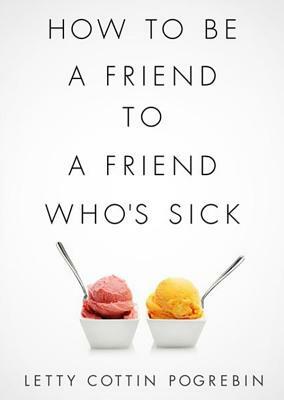 How to Be a Friend to a Friend Who's Sick is an invaluable guidebook for anyone hoping to rise to the challenges of this most important and demanding passage of friendship.